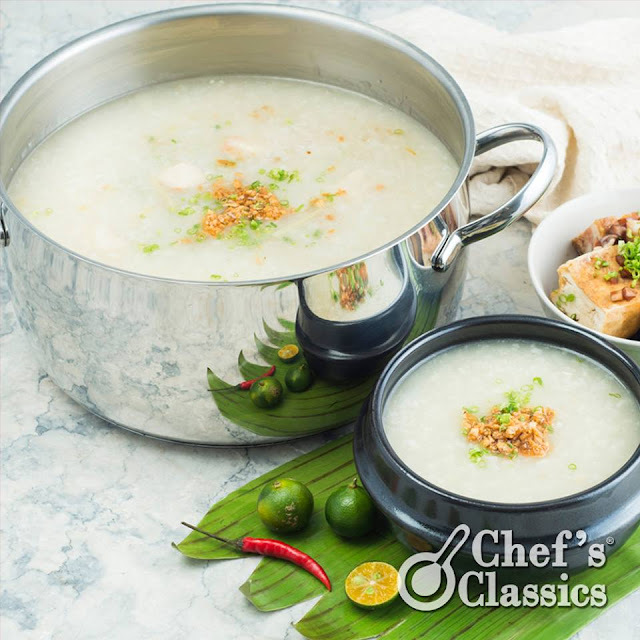 Be it for breakfast or an afternoon snack, nothing beats a steaming bowl of arroz caldo. Here’s a recipe that will remind you of mom’s good ol' lugaw. Mm-hmm! Served best with a big, warm hug! 1. Heat the olive oil in a Chef’s Classics Red Carnation Saucepot over medium heat. Sauté the garlic, onions and ginger in the hot oil until fragrant. 8. Garnish with spring onion, toasted garlic and serve with calamansi. Blanket and sweaters are optional!